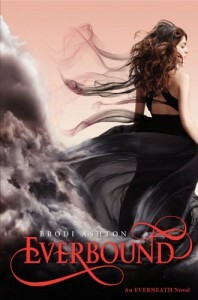 Brodi Ashton's growth as a writer is apparent in her follow up novel Everbound. Everneath started out slowly and I had a hard time getting into the story however this novel was set up to start out right after Jack was taken to the tunnels so the pacing was much better.Nikki, Cole and even Jack became more three dimensional characters. Nikki is trying to keep herself together and find a way to save Jack. She feels so guilty that he gave his life in trade for hers. She sees him every night in her dreams and is now his anchor as he was hers in Everneath. 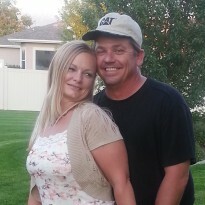 But time is getting shorter, Nikki with the help of Will finds a way to convince Cole to take her to the Everneath. Cole is brooding and dark convinced that if they just wait until Jack perishes Nikki will see the light and love him instead. Nikki is having none of that and will go on her own to the Everneath to save Jack. Cole begrudgingly take her with the help of Max and the journey begins. They have to go through the Labyrinth just as Theseus did with the help of Ariadne only Nikki's string is her feelings for Jack. The imagery of the Labyrinth was fantastic even though is was based on a myth Ashton gave it her own spin and made it original again. There was way more action in this book and the relationship of Nikki and Jack was expanded on even if it was mostly through flashback memories. I will say the twist surprised me. I knew there would be something but congratulations to Mrs. Ashton she blew my mind a little. While I totally saw Jack's sacrifice coming in Everneath I did not see the depth of betrayal that would befall Nikki in Everbound. I am excited to read the conclusion of Everneath series. It has been set up very well and I really can't wait to see Nikki and Jack fighting together against the Everneath.